With every outing and official engagement, the Duchess of Cambridge has managed to endear us even more to her. 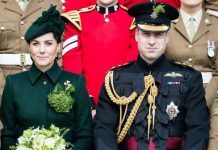 Every now and then Prince William’s wife – the prim, glossy-haired royal – lets her guard down and unleashes her super fun side, making her army of fans love her all the more. The mum-of-three has fangirled at sporting events – remember her adorably joyous reaction to Team GB winning gold at the 2012 London Olympics? 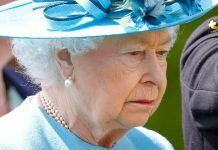 Not to mention her refreshingly human facial expressions she always showcases at Wimbledon! Of course, Kate has also been seen having fun with her young children, running around after them and proving just how much of a hands-on mum she is to Prince George, Princess Charlotte and Prince Louis. In honour of one of the most photographed women in the world, here at HELLO! we have taken a look back at some of Kate’s most endearing royal snapshots. Kate let her hair fly as she played jumping games with young cadets during her visit to an RAF base in Cambridgeshire in February 2017. The Duchess couldn’t help but giggle as she joined in the fun. Of course, Kate looked stylish while doing so, dressed in a military style jacket by Philosophy di Lorenzo Serafini. A laughing Kate (and her gorgeous shiny mane of hair) took centre stage as she left Northolt High School in Ealing, where she had officially opened The ICAP Art Room in February 2014. The Art Room is a national charity that offers art as therapy to children and young people aged five to 16 who are facing challenges in their life, and Kate’s visited put a smile on everyone’s face. 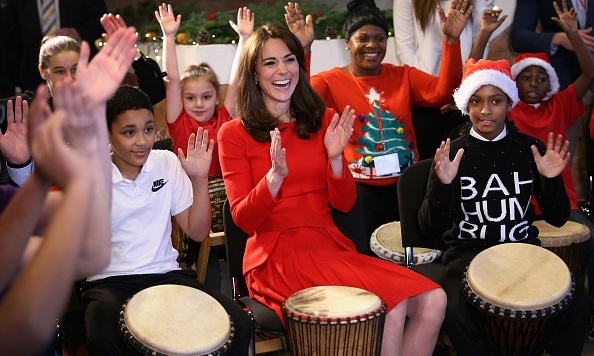 The Duchess showed off her music skills while visiting the Anna Freud Centre Family School. A patron for the centre, Kate often goes on engagements there, and most recently set up an initiative to help children talk about their feelings to raise awareness of mental health. 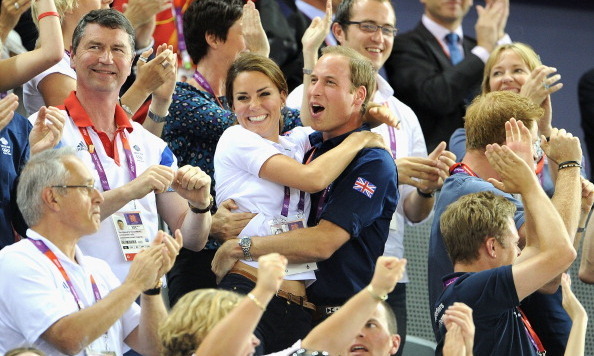 In one of the cutest images ever snapped, Kate clung to William when Team GB took home the gold medal in the team sprint contest during the 2012 London Olympics. Just like the rest of the country, the Duke and Duchess shared their delight at the big win. The royal couple didn’t blink an eye while meeting a Maori warrior in New Zealand. What’s more, Kate impressed the Maori by choosing to wear red – the highest status colour in Maori culture. 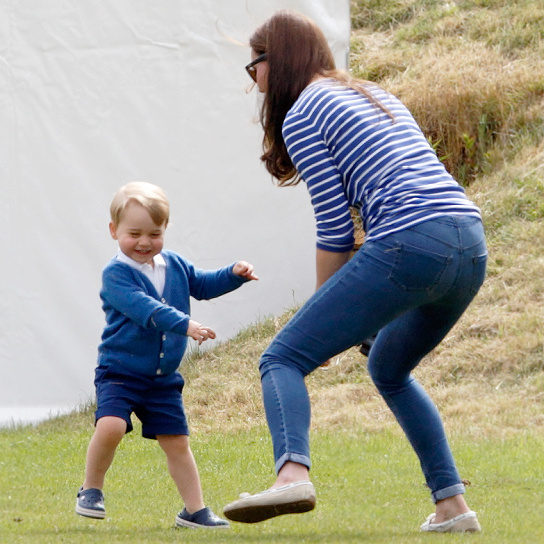 Kate played around with son Prince George during the Gigaset Charity Polo Match. A hands-on mum, Kate is more often than not seen with her children, and often talks about the things she enjoys doing with them, which includes hunting for spiders outside and running around in the garden, aww! One of the best treats a Downton Abbey fan could hope for, Kate visited the TV set and watched a live filming of a scene back in March 2015. Kate watched a scene set in the servants’ quarters for the sixth series of the period drama, and posed for photos with the cast afterwards, including Michelle Dockery, who plays Lady Mary. 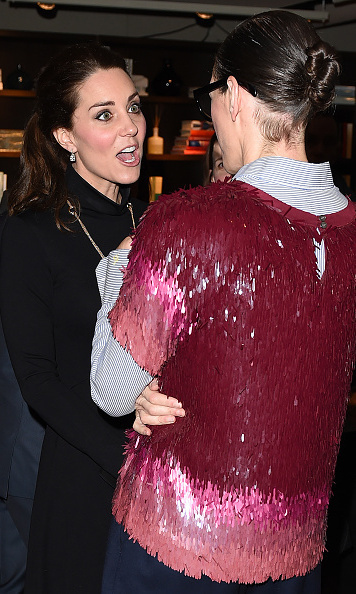 Kate has met everybody, from heads of state to Beyonce, but the one person who unleashed her inner fangirl was none other than J. Crew creative director Jenna Lyons. The mum-of-three couldn’t hide her excitement when she had the chance to chat to Jenna in December 2014. 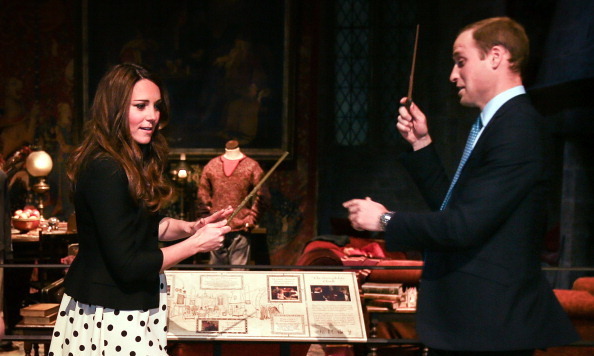 She may be a Duchess, but during a tour of the Harry Potter studios in London, Kate also doubled as a budding wizard. 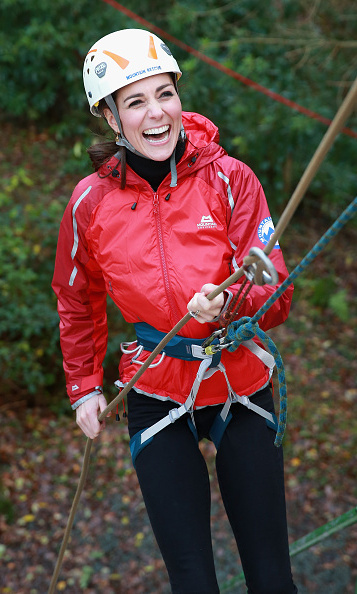 Kate attended the fun day out with Prince William and Prince Harry ahead of the arrival of Prince George in 2013. As ever, she looked stylish dressed in a polka dot maternity dress by Topshop. Presenting their first child Prince George to the world on 22 July 2013, Kate and Prince William could not contain their happiness – and the feeling was contagious as we collectively oohed and ahhed as the newborn was presented on the steps of the Lindo Wing outside St Mary’s Hospital in Paddington. Getting into the action, Kate was on the edge of her seat while attending a Wimbledon tennis match. A fan of all sports, Kate is a royal patron of Wimbledon, and is often seen in the royal box during the championships. with husband Prince William, or sister Pippa Middleton. A beaming Kate introduced her newborn daughter, Princess Charlotte, on the steps of the Lindo Wing. Charlotte was born on 2 May 2015, and has been known for her perfect royal wave at the tender age of three. 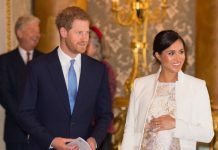 Charlotte has delighted crowds with her enthusiasm over the past year, most recently acting as bridesmaid at Princess Eugenie’s wedding in October 2018. The proud mum shared a tender moment with only daughter Charlotte during the little Princess’ christening in 2015. Kate couldn’t help but laugh when she played with George during the Gigaset Charity Polo Match at the Beaufort Polo Club. The stylish mum-of-three hit the trading floor in London as a broker for ICAP charity day. The charity trading day has seen many a royal and famous face take part over the years, including everyone from Sarah Ferguson to Holly Willoughby. 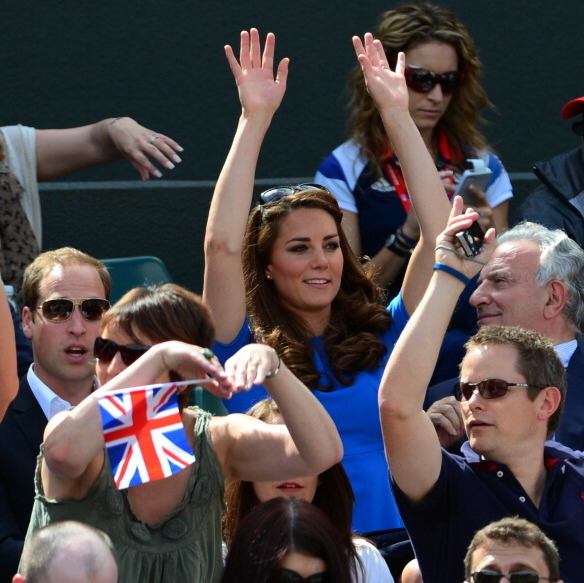 Kate rooted for British tennis champ Andy Murray during the London Summer Games in 2012. Cheering in the crowds, Kate got into the spirit of the tennis game as she held her hands in the air during a day out with Prince William. 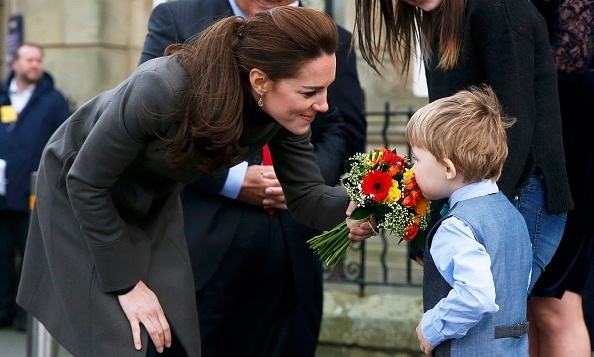 The Duchess showed off her maternal side as she met a young boy while visiting the GISDA centre in Wales. 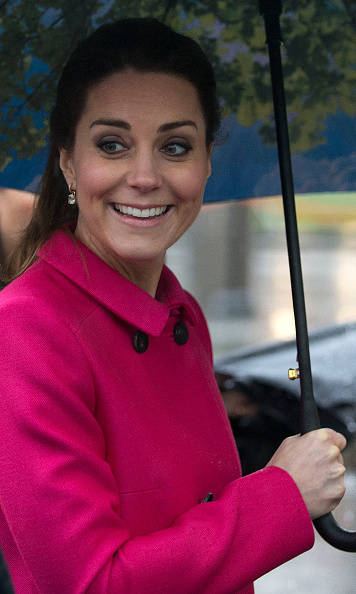 Not even the bad weather could bring the Duchess down during her official tour to New York in 2014. The royal was pregnant with her second child, daughter Princess Charlotte, at the time. 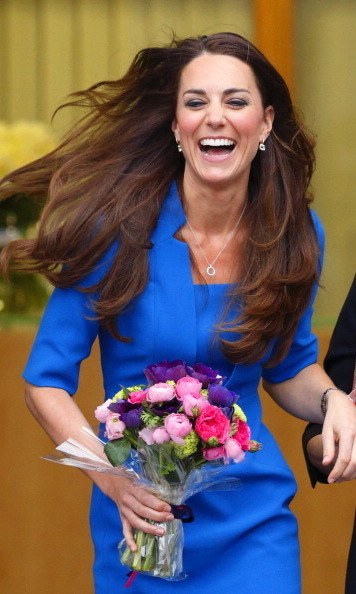 An expressive Kate arrived at the Dundee Rep Theatre in Scotland ready to chat with fans and well-wishers. 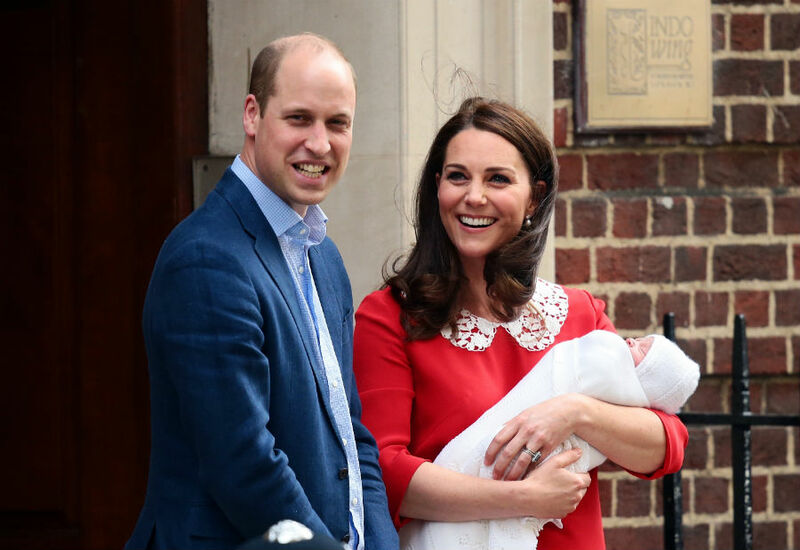 On 23 April 2018, Prince Louis Arthur Charles Cambridge was welcomed, and proud mum Kate Middleton looked delighted as she posed on the steps of the Lindo Wing with her newborn son and husband Prince William. Little Louis was also visited by his elder siblings Prince George and Princess Charlotte, who were picked up from Kensington Palace in William’s car to see their baby brother shortly before he was presented to the world’s press. 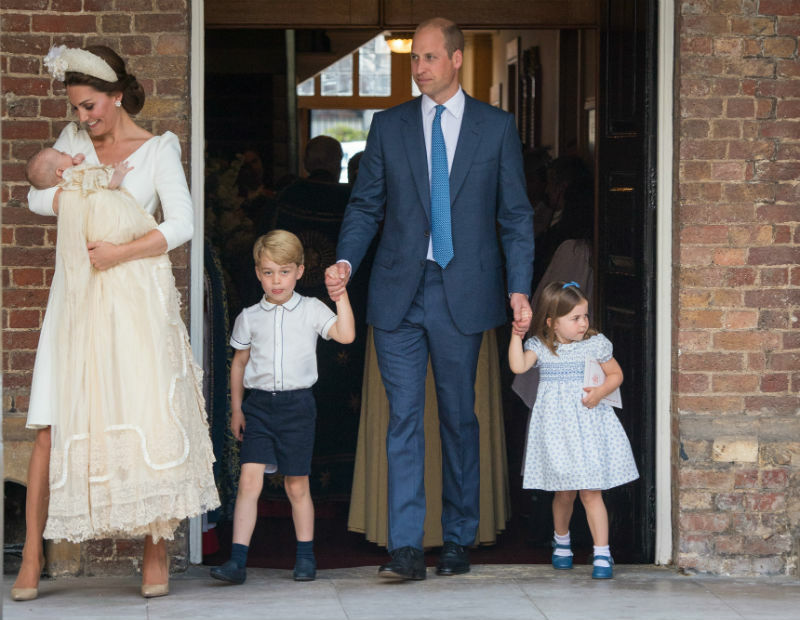 Prince Louis made his second public appearance on 9 July at his christening, which marked the first time that the Cambridge family were pictured all together since his arrival. Kate beamed with joy as she held her youngest son in her arms as they made their way to the private ceremony at the Royal Chapel at St James’ Palace. Fun mum Kate was pictured playing with her two eldest children Prince George and Princess Charlotte at a charity polo match in the summer. 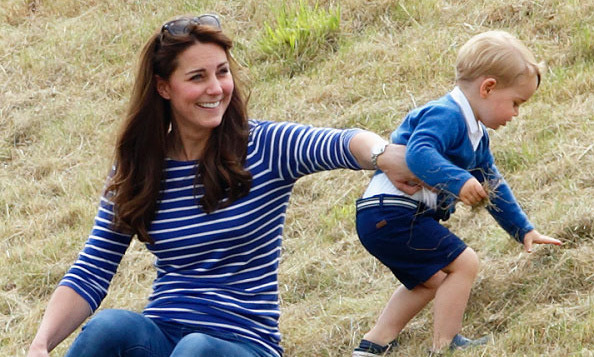 Kate even impressed royal fans by running after George and Charlotte in wedges!